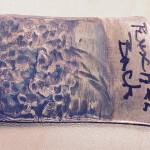 I recently took a terrific class in creating Mokume Gane – a multilayered metal that’s produced under heat and pressure. 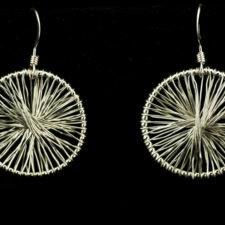 The fascination with this metal is the patterning that can be achieved with various combinations of metals and some inspired carving techniques. 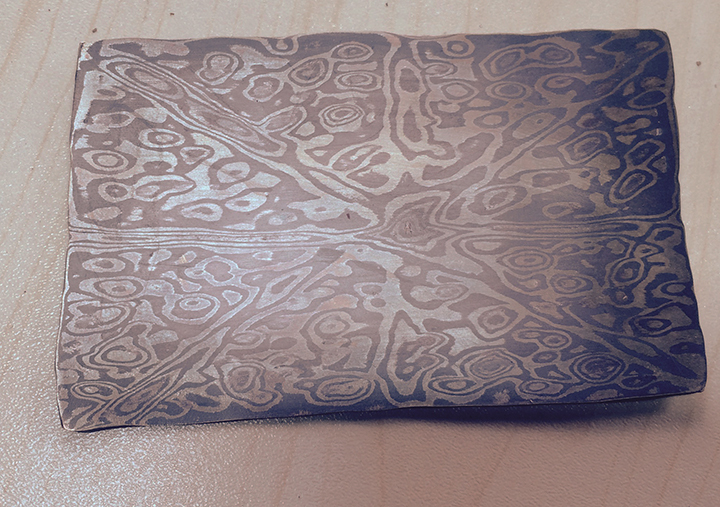 Mokume Gane in a fascinating metal laminate that I’ve been playing with recently. The approach was originally developed long ago in Japan and was used to create decorative sword blades. 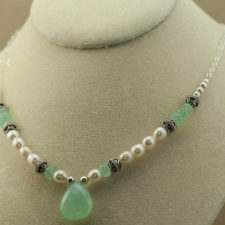 The process was invented by Denbei Shoami in the 1700s. 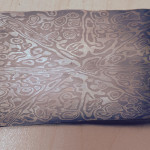 Mokume Gane is an old technique where patterns in metal are achieved by carving into multiple layers of different metals. These laminates were created with heat and pressure and then were carved to reveal intriguing patterns. Mokume Gane means “wood eye” because the resulting metal has interesting patterns that are suggestive of “eyes”. 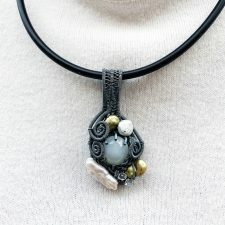 Over time artists have adapted the original techniques to modern equipment and precious metals to create elegant ornamental objects and beautiful jewelry. 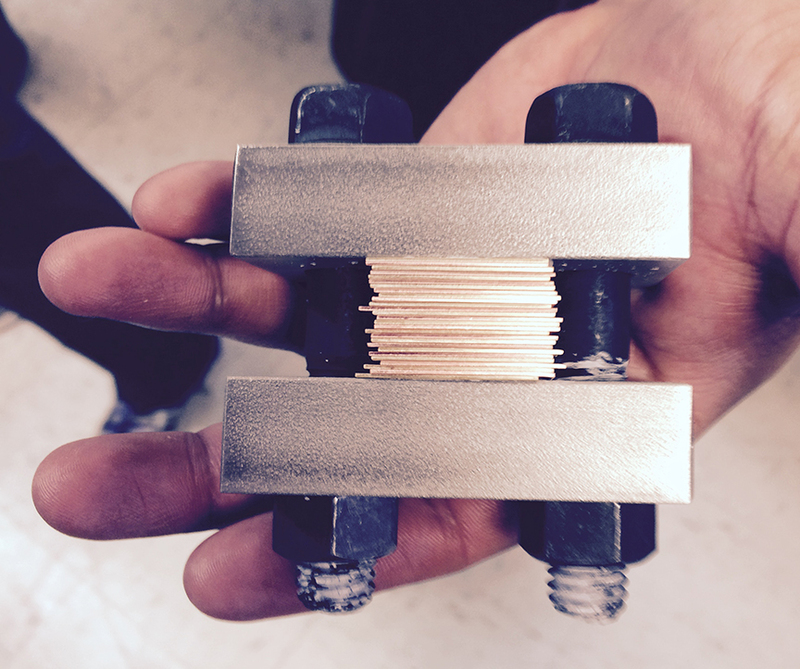 The end result is a patterned sheet of metal of any desired gauge. 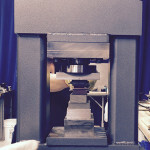 To start, squares or rectangles of metals are cut from larger sheets, carefully cleaned, then stacked and clamped between plates that can be subjected to high pressure in a hydraulic press. Think of a stack that’s 10 layers to 28 or more, depending on the size of the sheet desired and the complexity of the pattern you wish to achieve. 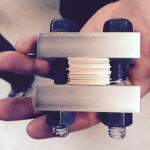 The stack of metal is called a billet and once the billet has been compressed, it is heated for several hours in a kiln. 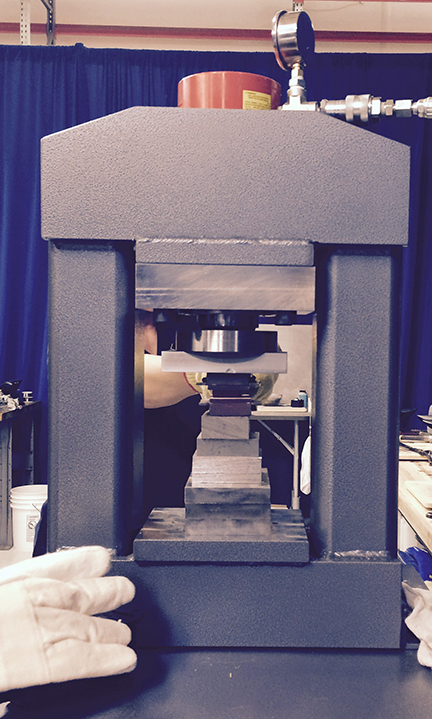 The length of time and the temperature selected are dependent on the metals selected to create the billet. You can create Mokume Gane with combinations of copper and silver or with silver and gold for example, but similar melting points and contrasting metal colors are important to creating a finished sheet of metal that has a highly visible pattern. Patinas are often applied during the patterning process to enhance the pattern’s visibility and sometimes also to the finished work. 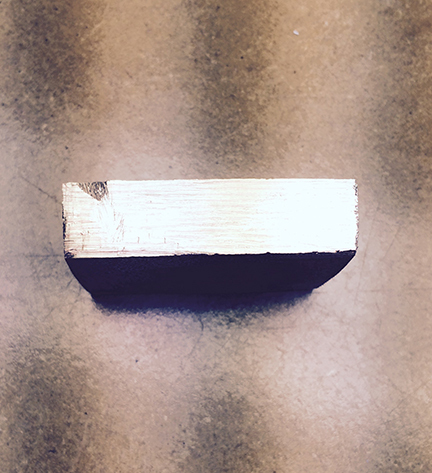 As you can tell, the process of creating Mokume Gane is extremely labor intensive and the billet goes through multiple processing steps – heating and compressing until the original thickness of the stack or billet has been reduced by more than 70%. 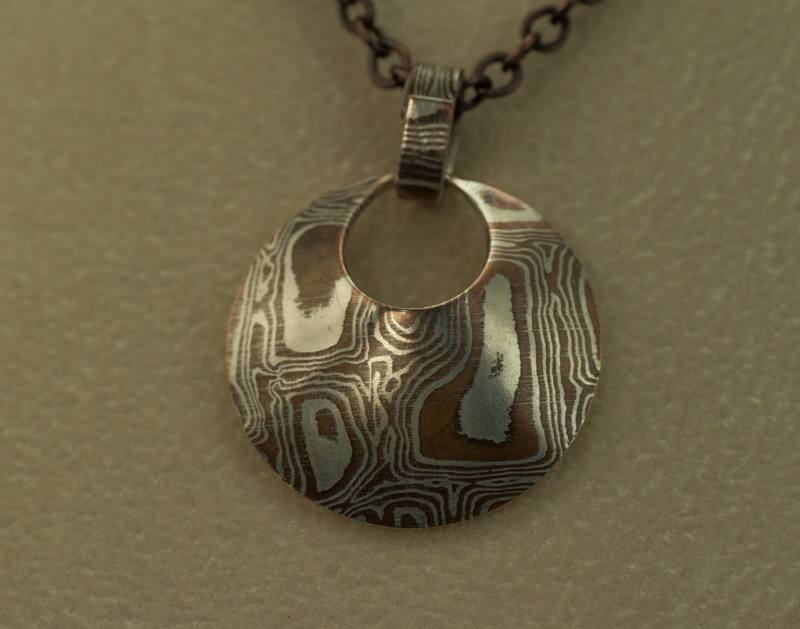 Some of the mokume gane material that is produced commercially for jewelry manufacture contains copper and is backed with a sheet of Argentium silver so the copper will not touch the wearer’s skin. 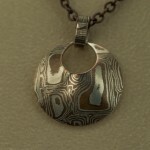 Much Mokume Gane for jewelry is produced from combinations of precious metals. There are a variety of approaches used to carve the sheet produced from the billet and there’s no limit to the variety of patterns that can be achieved. 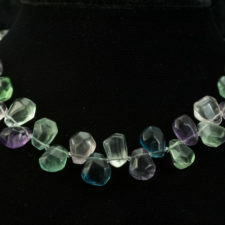 At the top of the blog, I show a pendant I designed earlier from a commercial pattern I like. On the left here is a photo of patterning I did in class. If you look closely at the piece on the left you can see the “eye pattern” developing. 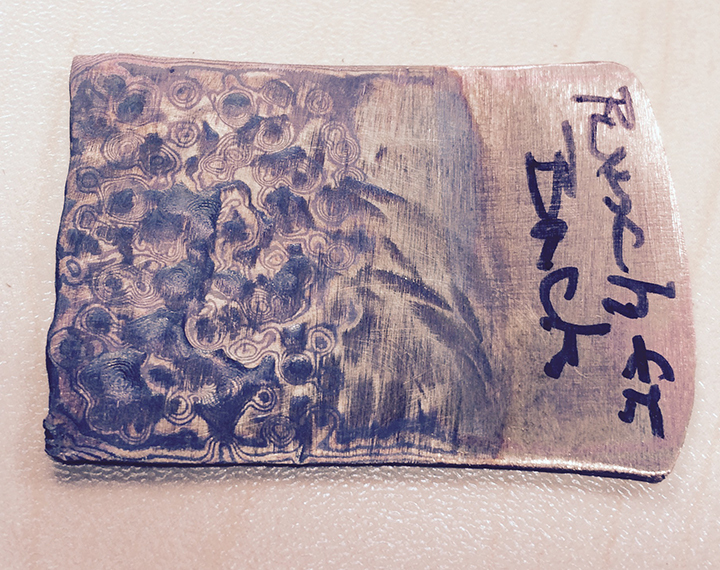 I finished one sheet of copper and brass and patterned it. I’m planning a pendant/brooch and earrings for my self from this sheet. I have some other pieces from class that still need to be patterned and run through the rolling mill. 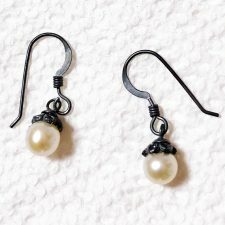 I want to create something in a repousse’ design from those.